The rule of thumb for any successful web store is to get based on a smooth performing eCommerce platform. In its turn, steadfast hosting is a must to ensure that your online commercial data is kept in a reliable and accessible fashion. It is by far the most important thing to consider, as we realize the Hosting Facts stats saying that due to poor hosting, slow loading websites cost the U.S. e-commerce market more than $500 billion annually. Due to recent tendencies, eCommerce is meant to opt for hosting solutions. Since Magento is a self-hosted eCommerce platform, meaning that it does not provide hosting for your web store, you may need some third-party assistance to get the things done. However, there is a couple of moments you should consider before opting for the right hosting provider. To figure out what hosting features online retailers are looking for their Magento 2 eCommerce platforms these days, let’s check out the Magento Community Forums. We have singled out the most typical user enquiries they make in the Hosting and Performance Q&A section. 1.Which servers would you recommend? Cloud or Dedicated? 2.Are there any specific Magento 2 providers? Which ones are the best? 3.What specs should I be looking for in a hosting solution? 4.What are the requirements/prerequisites to get my web store hosted? 5. Any good general advise on hosting my eCommerce platform? Let’s try to highlight the most essential preconditions that may greatly influence your further eCommerce platform performance. All these factors will help us to define the top 5 hosting services for Magento 2 that you can find and subscribe in 2019. 1. 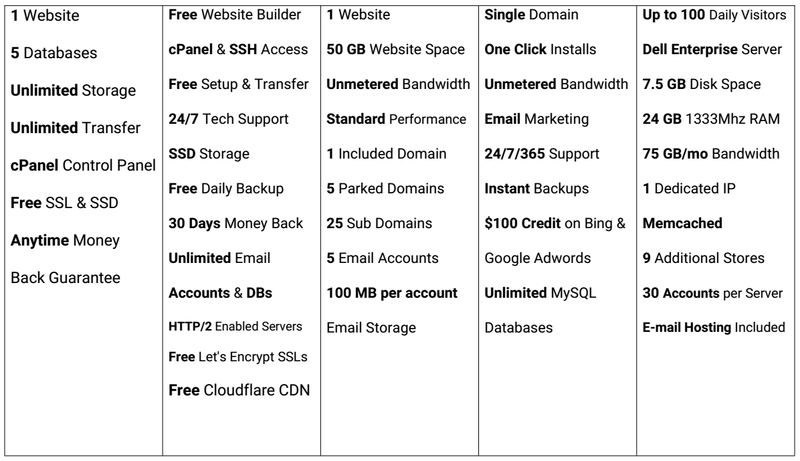 Managed hosting is available. A lot of companies may prefer self-service hosting that makes them feel in complete control over their data. It is not feasible in most cases, since managing your own host server presupposes strong expertise in IT development. You’d rather leave this to the seasoned professionals to be digitally safe and sound. Moreover, it will free up your time to think twice of your, say, marketing campaign. 2. A dedicated server is preferred. Although shared services may be somewhat more affordable than dedicated, they may as well have some sort of restrictions. Shared servers often suffer from downtime when it comes to high traffic. Its cybersecurity also leaves much to be desired due to the same space for many websites. All the data stored on shared servers are vulnerable as hell to cyberattacks. 3. Magento 2.0 hosting support is guaranteed. The very first thing you need to check before picking a hosting service is its compatibility with the newest version of Magento 2. Ensure your would-be hosting meets the following requirements: Linux x86-64, Apache 2.x or Nginx 1.7.x, MySQL 5.6+, PHP 5.4+. Depending on your payment gateway choice, you will probably need to support HTTPS. In this case you will need a hosting plan that supports an SSL certificate. At the minimum, this will require a dedicated IP address. Given the complexities and performance needs of a large ecommerce site, you are probably better off using a VPS (Virtual Private Server) hosting plan, rather than a shared hosting account. Server uptime: This is a factor that is definitely be included in our list and needs further consideration. Server uptime is the actual time the server has been up without going down. Ideally you would want your server uptime to be 100%, but that is impossible. Having a 99.9% uptime guarantee is a nice feature to have though. This ensures that your site is accessible at any time, and you won’t miss any orders. Loading speed: Nobody likes a slow website. Research has shown that a loading speed of over 2 seconds is deemed unacceptable in today’s standards. Therefore, it’s important that you get a server with a fast response time. This will increase your conversion rate and the browsed pages on your site. You can also read our tips to improve your Magento site speed. Price: Depending on your budget you might look for a more affordable hosting provider. The best cheap Magento hosting provider that we’d recommend would be Siteground as you can read in our review. 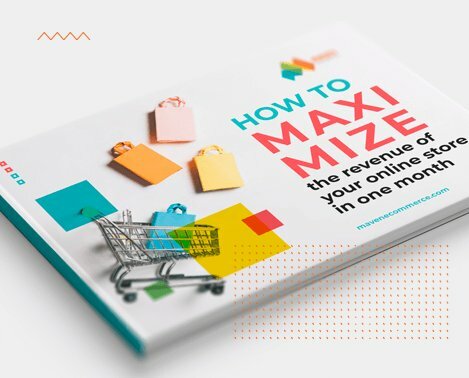 We know that when you start a new Magento store you’ll need money for a lot of other things like development, marketing, advertising and maybe even to hire some employees. This will quickly add up so it’s nice to have a relatively cheap hosting bill. Server Location: A lot of store owners don’t know that the server location of your Magento store plays a big part in SEO and loading speed for your targeted country. Say your store is aimed at customers in the UK. You should get a server located in the UK as the data center is closely located to your customers which loads your store faster for them. It’s also great for SEO purposes as search engine knows exactly who you want to target. Support: There’s nothing more frustrating than getting a server error on a Friday night and having to wait a whole weekend before you finally get in touch with the support team of your host. Not only will you miss a whole weekend of sales, you also risk losing search engine positions which is the last thing you want. Always check if the support is available 24/7 or at least a few hours a day on the weekend/holidays. Scalability: When selecting a good Magento host it’s always a good thing to look ahead in the future. What are you going to do when your store becomes a big success and needs more server power? Are you able to easily upscale your hosting environment? It’s good to keep that in mind when making your choice. Caching: Caching is a technique used to improve your site’s loading time. Instead of a live version of your store, a ‘Cached’ page is loaded which doesn’t need as much time to download as it is a static page. This can drastically improve the loading speed of your online store. All the companies listed above use the most advanced caching methods to ensure you a great loading time. You have discussed this Magento hosting topic very sincerely. When it comes to talking about hosting a Magento eCommerce store, thriving without a good page speed seems to be impossible to me. In eCommerce arena, pages are heavy and images are mostly large in size that requires high-end servers to load faster. On the other hand, scalability is what you may need at any time. If your hosting provider does not offer you easy scaling, your business may be stuck at that time. We at ServerGuy exclusively offer managed Magento hosting for fastest page speed score and easiest scaling option. Great post. I was checking continuously this weblog and I am impressed! Extremely helpful info specially the last section 🙂 I deal with such information much. I was looking for this certain info for a very long time. Thanks and best of luck. Informative article.Really enjoyed by reading this article.